Patients are now required to request ambulance transport directly. Who qualifies for this transport? How do I book this transport? You may request bookings up to 28 days in advance of your appointment – you will need your appointment letter when you call. 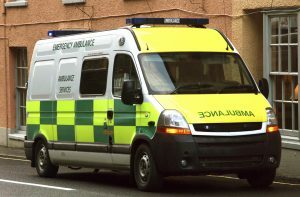 To request ambulance transport too and from your healthcare appointment please call the Scottish Ambulance Service Booking Line on 0300 123 1236. If you are hard of hearing, deaf or speech impaired, you can contact the Service through Text Relay on: 18001-0300 123 1236. All calls will be charged at local rates from landlines and mobiles. Can I be accompanied by my carer? A leaflet ‘Information for patients who need ambulance care services to attend healthcare appointments’ is available on scotamb.communications@nhs.net or by calling 0131 314 0000.